The migration to IP alarm communications can be complex or simple, the key is to choose the right technology for your business. 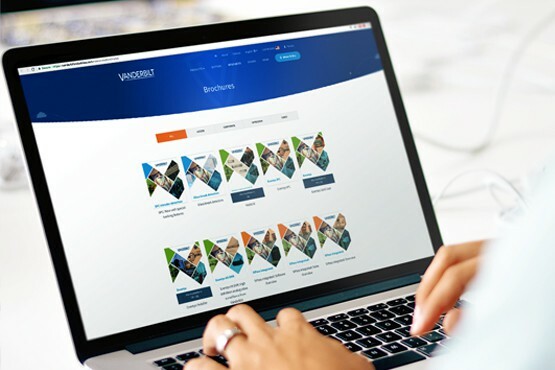 At Vanderbilt, we work with many of the market leading technology providers to ensure that your monitoring solutions can offer the best support to your SPC customers. Below you will find a range of solutions that you can use, this information is intended as a guide to help you choose the right technology and we would advise you to discuss your needs with the solution provides. Most security systems allow the installer to enter an account code per security system, SPC FlexC allows multiple account codes per system. In all alarm communications systems, the system will allow for the definition of a primary path, this is where events will be sent and can be either a phone number or IP address, the backup path is used if the primary fails. 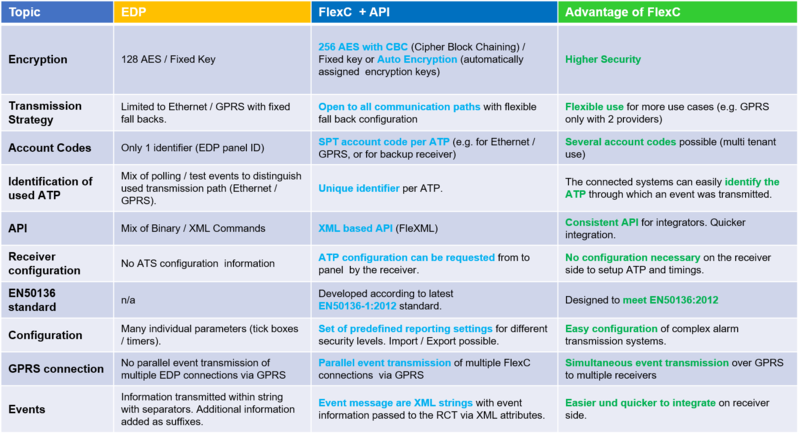 Note all communications systems offer the same functionality here, with some systems allowing for complex reporting priority definitions such as FlexC. As monitoring services become more advanced, the operators no longer just handler alarms the operations center can provide more services for the end customers that will improve the performance of the business. These Categories will vary by region and it is important to know which categories apply to your grade and region. These are a range of standards that cover various aspects of alarm signaling and communications, the subsection of the standards cover how the SPC will react with the communications paths, how the receiver will behave. This is the traditional means of communication, the installer enters the phone number of the monitoring station and an account code. When an event occurs the call system dials the monitoring station and reports the event, the monitoring station confirms and the alarm systems end the call. CID transmit a number of digi numbers when the event is represented by a number and a qualifier. In this case, the SPC will be connected to these modules using either the PSTN or serial connection, in some cases, they will use IP. In this setup, the SPC is isolated from the communications to the monitoring station and the external module will perform all communications. The reason a company may use this is to simplify the installation process however by not using the IP communications the integration information is greatly reduced. EDP was supported in SPC from its first release. 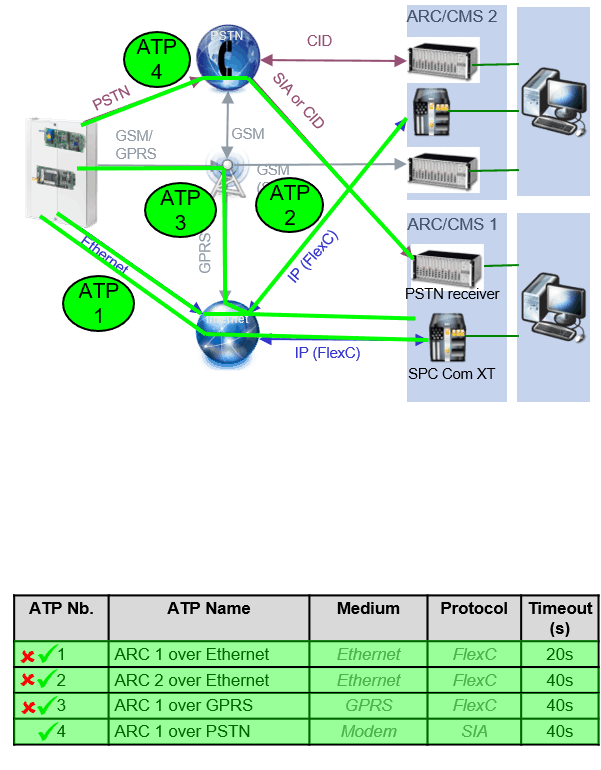 IP communication from SPC systems over ethernet or GSM. 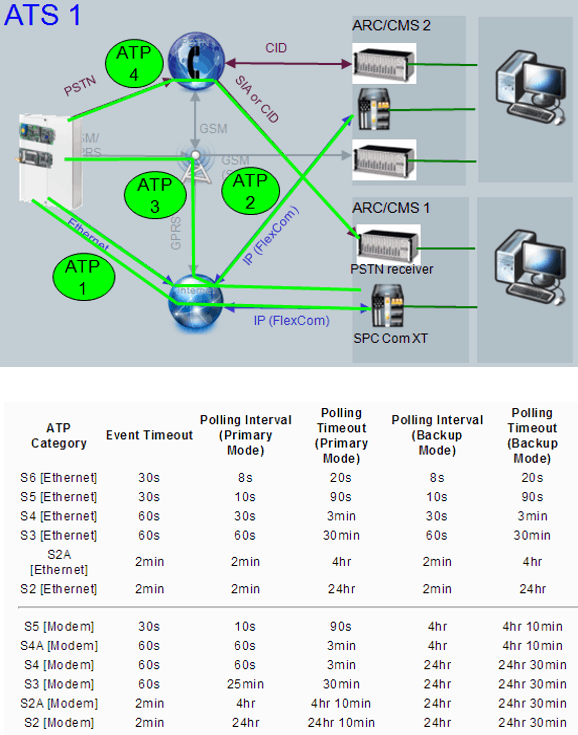 The IP link is then used to transfer events and commands between the SPC and the server. The EDP specifications are available for third party integration under NDA however we would recommend using FlexC to future proof design. 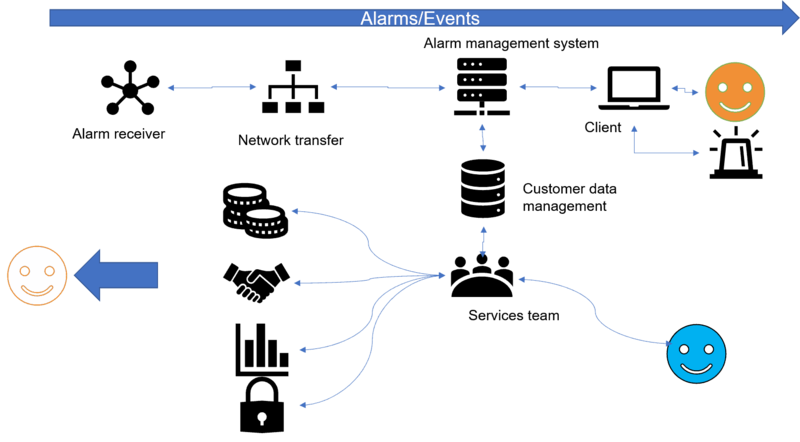 strategies to independent alarm organizations. (e.g. pre-defined CMS settings can be imported by the installer). Up to 100 definable exception within the system to define exceptions for event filter groups. The commands accepted by SPC panel is matched with the user rights stored in SPC for the specific system/operator. Third parties can obtain the FlexC specifications under NDA from Vanderbilt, once the NDA is signed Vanderbilt will provide the FlexC specification and FLEXML command set. The SPC will report the alarm to the alarm receiver, this will include the customer, time, zone and other information. 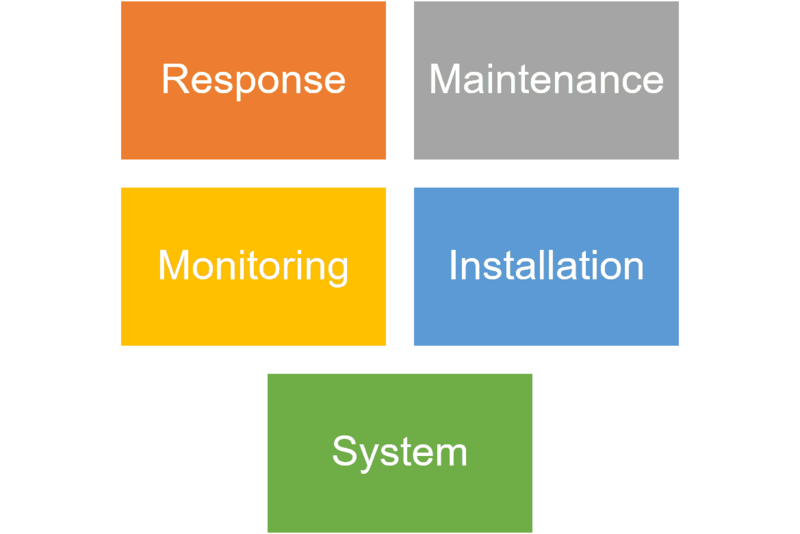 This will be passed to the alarm management system, this is a key system in alarm management which will sync information with the customer database and manage the lifecycle of the alarm. Once an operator becomes available, the operator accepts the alarm and reviews the data, the data the operator will use the contact details and events from the system to determine if the alarm is valid. The operator can choose the call the police, customers or close the alarm. Vanderbilt have partnered with a number of the key players in the alarm reporting industry. If in your region there is a CMS using a receiver which we do not support then Vanderbilt can undertake an integration project , to add the support for SPC IP communications into the required receiver. For Information, please contact Vanderbilt support or sales. F1 is the first multi-protocol, multi-network alarm receiving center that easily integrates into a diverse number of management information systems. 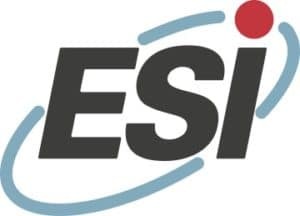 It really performs when combined with other ESI solutions, especially the M1 management supervisor, the V1 video reassurance client-server and the RC1 digital audio recorder. F1 is one of the main components of the GLOBAL INTEGRATION product line. The RX-8000 is a digital multiprotocol alarm receiver, supporting multiple infrastructures such as PSTN, ISDN (BRI + PRI), ISDN-D / X.25, GSM, IP and GPRS. This enables you to realize a significant saving on the existing (uni-protocol) receivers. The various outbound protocols (SIA, Scancom, Ademco 685) ensure that the RX-8000 is easy to link up to all existing Alarm Receiving Center Software. A special focus when developing new functionality for the RX-8000 was user comfort. The configuration is easy to adjust by means of a multilingual web interface, with easy consultation of the integrated online help function. The RX-8000 is supplied with a 19” casing, including LCD and keypad. 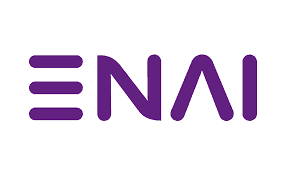 ENAI is committed to quality and continuity and has therefore used the EN standard as the basis of its products for many years. In addition to these EN standards, the RX-8000 is VdS certified (Germany). The RX-8000 ensures optimal receiver control and investment value! 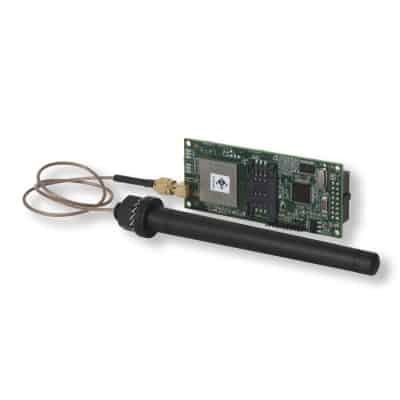 The IP multiprotocol Osiris receiver offers a powerful and secure software allowing the reception of incoming events from IP transmitters. Osiris receiver is an IP multiprotocol receiver able to decode more than twenty transmitter protocols. Osiris provides Voip communication when needed. 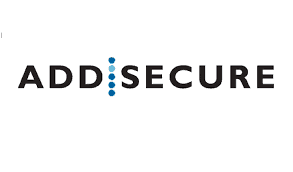 Security: the architecture is based on several receivers and the polling management based on a replicated database offers a continuity of services: the stop of a server does not deteriorate the system operation. Receivers are installed in a DMZ for a total separation between the monitoring room LAN and the Internet network. Performance: additional receivers and IP traffic load balancing, provides for easy monitoring room capacity increase. The distributed architecture allows an equilibrated processing of events. Polling faults and restore are sent to Alarm Monitoring System in real-time. Evolutivity: simple adaptation of the architecture: add new receivers for new needs. From one receiver to dozens on complex Monitoring centers. Interfaces: with main AMS presents on the market for the management of the events, the remote configuration downloading and audio management. Flexibility: script language for transcribing’s and remote controls. 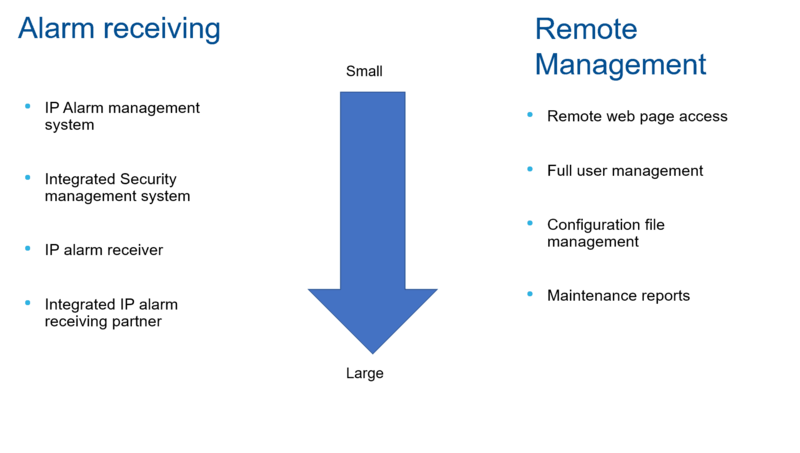 Each reception port can be redirected towards two different AMS. System administration is controlled in real-time from the LAN with the Osiris Console windows software. Ease of use: the architecture allows the referencing of a new receiver, a new port or a protocol in a matter of seconds. Integration of new customer’s id and polling control are automatically activated upon receiving the first connection of the transmitter. An API also allows adding news sites from a foreign source. "Our systems use the best technology and are proven in thousands of implementations. Our range of signaling products are more feature packed than ever before with Ethernet, WIFI, radio, 4G single, dual and triple path solutions." If you would like to find what solution may offer your business the best solution please contact us.